Experience romantic Italian style with Brit Windows Loggia Conservatories. 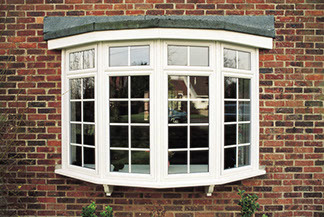 Designed using solid-filled panels, feature surrounds, and impressive architraves to give you that classic, yet sophisticated conservatory appeal, the Brit Windows Loggia collection brings a contemporary element to a stunning home extension. When combined with customised details like bi-fold doors and casement windows, Brit Windows Loggia conservatories can be a beautiful way to make the most out of your residential space. Perfect for combining the beauty of nature, with the comfort and convenience of indoors. A beautiful design for the modern homeowner, Brit Window Loggia conservatories are a stunning space solution for any home. 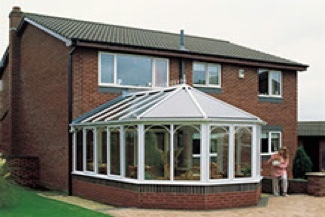 When used as part of house additions, bungalow extensions, or even as a sunroom extension, the Brit Windows Loggia wall system offers detailed, aluminium in-fill panels alongside dwarf wall panels to give a fully-finished conservatory effect. Distinctly European, the Loggia design can be customised with a range of coloured panel areas, and the incorporation of fully-integrated radiators for a clean and uncluttered interior space. 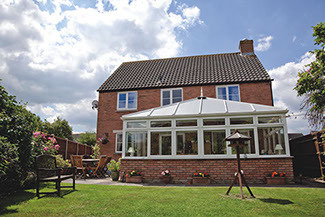 Whatever you need to make the most out of your conservatory space – you can achieve it with Brit Windows. 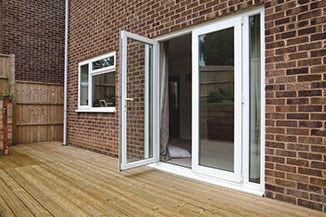 Everything from our robust glass door creations, to our triple-glazed windows are designed to offer comfort, convenience, and energy efficiency.